We’re doing some last minute prepping for the readathon this weekend, but of course we couldn’t forget to announce our amazing prize packs for participants who manage to read a full 24 out of 48 hours. Once again, we have some amazing prize sponsors who have generously donated toward these packs. Be active on those platforms during the readathon. 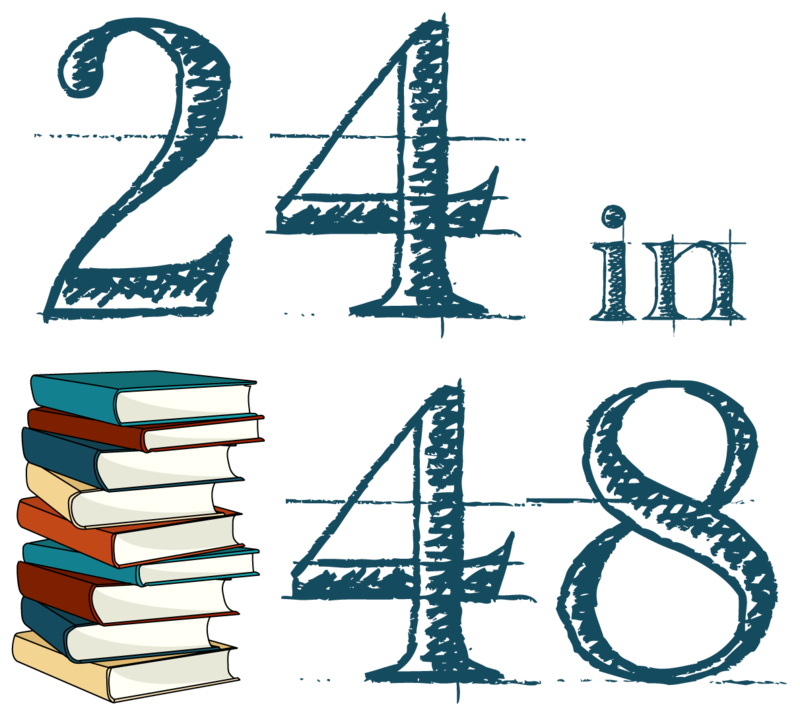 In the post that goes up at the end of the readathon, you’ll be able to submit your info and proof of 24 hours of reading. You’ll also be asked to note whether you’re US-based or international. You’ll have until midnight ET on January 30th to submit this proof, after which the form will be closed. Obviously, your proof is on the honor system and, while I’m thrilled to be able to offer these prize packages, please don’t abuse it. Also, please don’t forget your internationally-based brethren and donate if you can. Jane Austen print, courtesy of Obvious State. Who’s excited? I know I am! I’m totally excited. I have to see an oncologist right before this Read-A-Thon starts. Depending on that appointment will determine how much reading I get done. Sending good thoughts your way. Are these separate from the other prize list? Yep! These are for people to have a chance to win if they complete 24 hours of reading. The others are for challenge and door prize winners. Why is the online digital stopwatch preferred over the phone’s stopwatch? Or are they just both preferred over a written time tracker? They’re both preferred over a written tracker.